In Greek Photography literally means 'painting with light' so if we're going to learn a few skills, the first thing we need to get acquainted with is light. Don't get panicked - no Physics involved here - at least no equations. I am hopeless at Physics myself so I'll try to stick to plain English and leave that particular science out of our work. Frankly, I don't get much of that myself so let's break that into meaningful bits - it's the amount of light that gets to the camera sensor - we arledy got that. 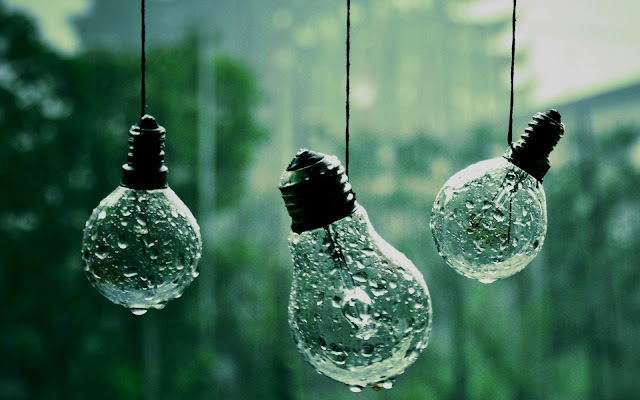 Shutter speed is the speed in which you camera can take pictures, lens aperture stands for that opening in the shutter (the thing that actually takes the pictures in your camera) that lets the light in and the luminance of the scene simply means how light it is. Here is a diagram explaining things in pictures - don't worry if you don't understand things now - it would get clear later. No, don't tell me that your camera doesn't have that - ALL cameras do - whether they let you change it yourself is another matter. Even if you don't have a full manual (displayed as the letter M in the menu or on the control button of your camera) you'll still have some semi- manual mode available. So how do we control exposure then and what does it mean for us and our pictures? OK, maybe not exactly something like that but still - you see the grid line? If you are taking picture through the screen it would appear at the bottom of the screen. Let's take a look at the grid line itself - you see the arrow there? It is normally set at 0. 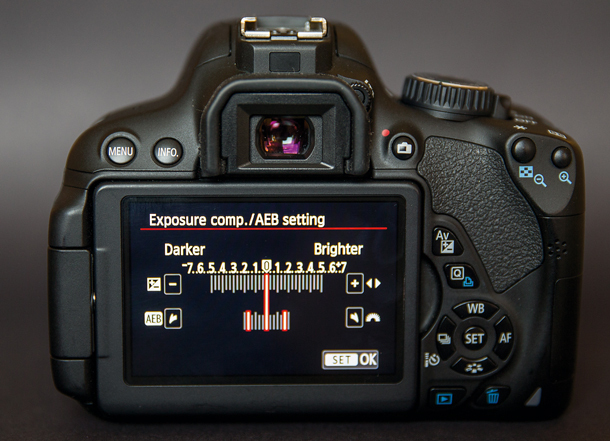 That means that the sensor of your camera 'sees' relatively the same amount of light you do. (I'll keep repeating throughout that the human eye is the most sophisticated photographic equipment on earth but still I'll use that for convenience's sake.) So that 0 is called - or at least I will call it - NEUTRAL EXPOSURE. Other photographers, however call it CORRECT EXPOSURE - assuming that when the arrow is at 0 there are no light issues. So - what happens if you move the arrow LEFT then? You see there are numbers there (in some models they are written with a minus: -1;-2;-3 etc.) each number means that the picture will be ONE TIME (Stop in photographic) DARKER than the neutral one. So thus a picture shot (photographic for 'taken') at exposure -3 (they call it 'stops') is 3 times darker than one shot at 0. If you go RIGHT - you'll notice the same numbers (written with a plus in front of them in some models - +1;+2;+3 etc.) Here the situation is the opposite - the shot gets LIGHTER than the neutral one. So - why did I post that awful diagram in the first place? Because the exposure is closely linked to other functions and is in a way dependent on them. The longer the exposure, the slower the shutter speed (the speed with which your camera can take pictures) and vice versa (you need more light and in order to provide it for you things slow down). Basically, photographers say that any picture that is TOO dark is UNDEREXPOSED and any picture which is TOO light - OVEREXPOSED. 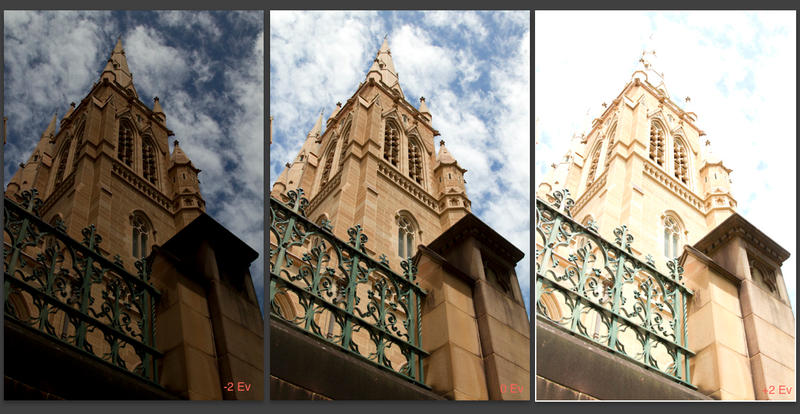 The picture on the left is underexposed, the one on the right is overexposed and the correct exposure is in the middle. As you can see there is a red number on the shots to the sides indicating how much do they differ - in our case - two stops from the neutral. 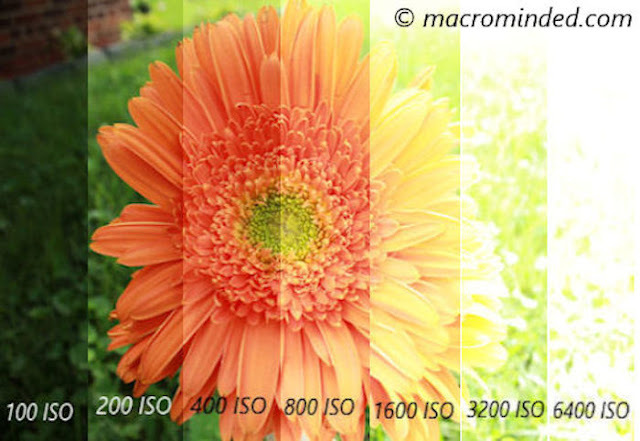 Another thing that is closely linked to exposure is ISO sensitivity. No, it's not a spy code but even I don't know what the ISO abbreviation stands for. 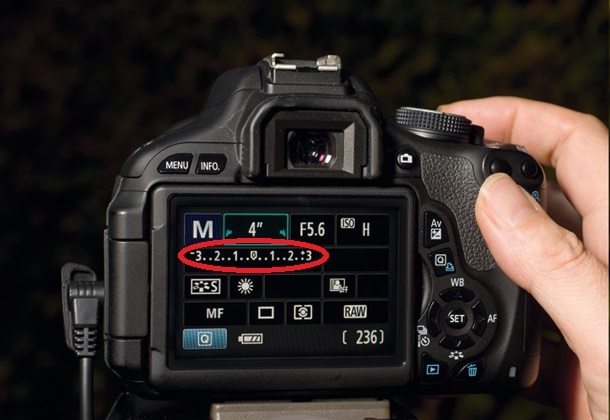 In plain English ISO sensitivity stands for the sensitivity of the sensor to light. Those who have used film know that films have limited or fixed ISO (say, one or two numbers). Well - good news - cameras have many. The rule is that THE HIGHER THE ISO THE LIGHTER IT GETS - IF ALL THE OTHER SETTINGS ARE THE SAME. So the higher ISO is determined by the bigger number - some cameras have options to have ISO of 12000 and even more. OK, so here's the catch - THE HIGHER THE ISO THE LOWER THE QUALITY. 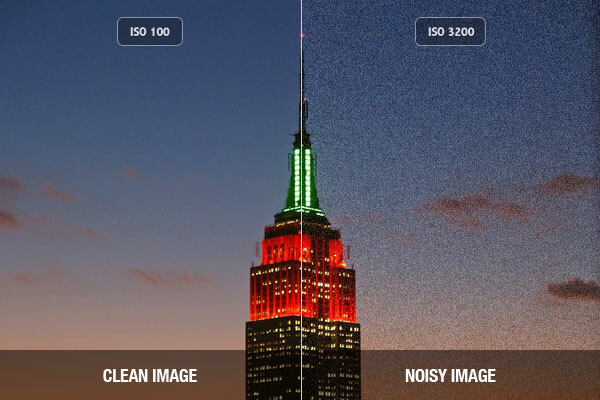 When the sensor is more sensitive to light the quality of the picture gets worse. That's so because the sensor has to compensate for the lack of light - and you see the poor quality by seeing differently coloured pixels in the image. Photographers call that NOISE. THE LOWER THE ISO THE LOWER THE NOISE. Generally, it's recommended to use the lowest possible ISO in the circumstances. 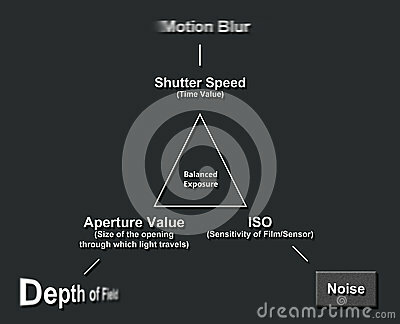 However, LOW ISO MEANS SLOW SHUTTER SPEED AND LONG EXPOSURE. Posted by Bistra Stoimenova at 13:53 ч.